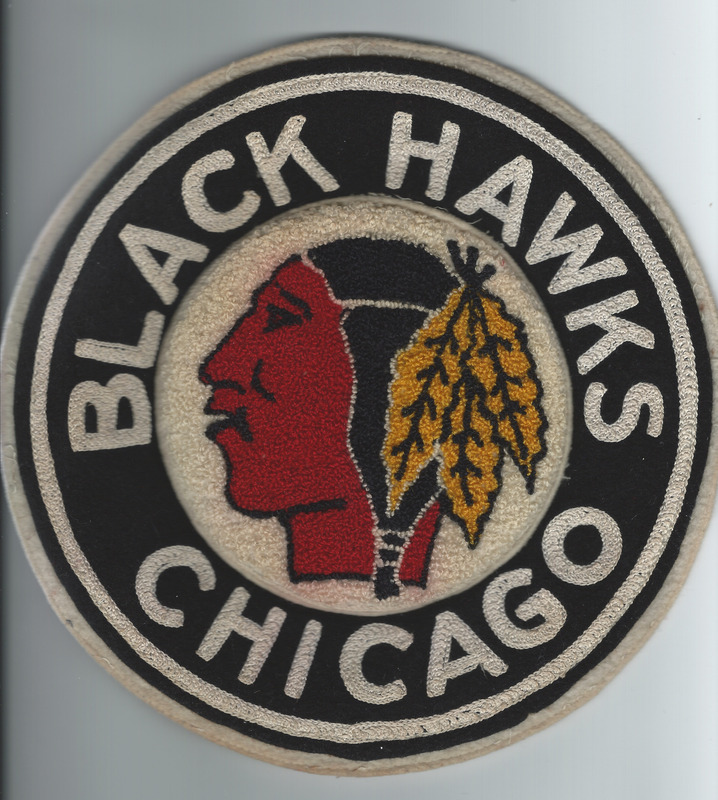 Fantastic Original Crest from 1937-38 Chicago Black Hawks Game Worn Jersey. 1937-38 Chicago Black Hawks original game worn jersey crest. This crest was obtained by myself from the family of Max Bentley. 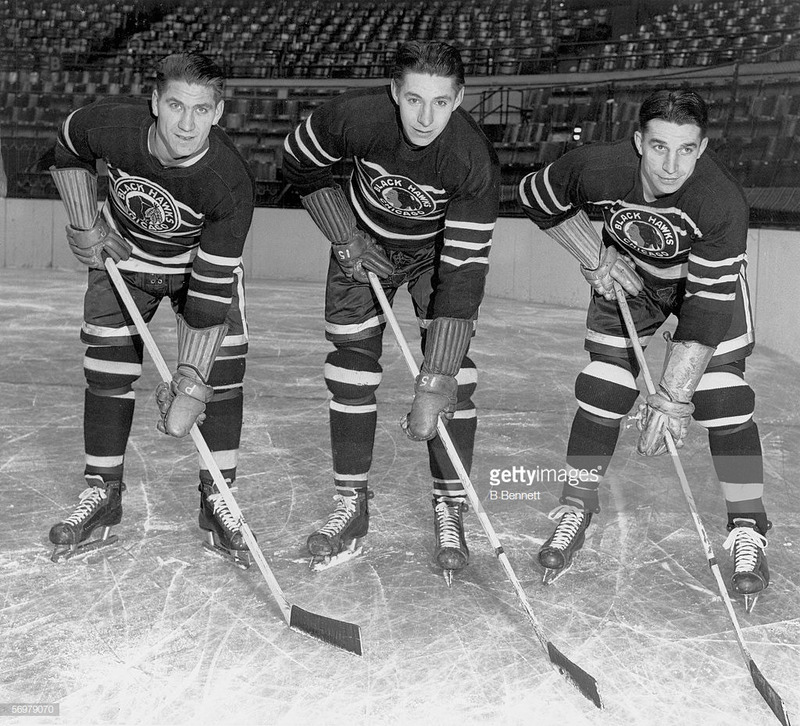 The first member of the family to lace them up with the Black Hawks was Doug Bentley in the 1939-40 season. 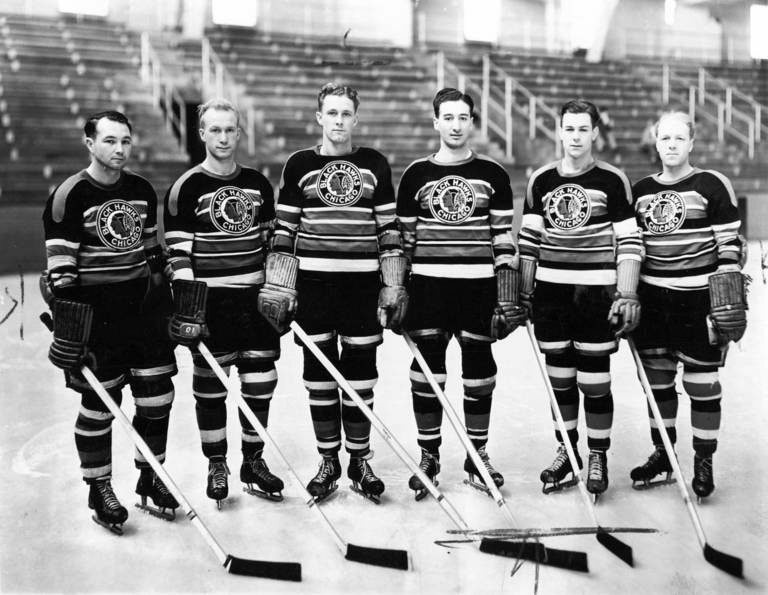 As was common practice for the Black Hawks, jerseys would be kept in the organization to use in training camps and practice. I have included a couple photos to show that fact. The first two photos show this style crest being worn in their 1937-38 team photo and a photo of six players. 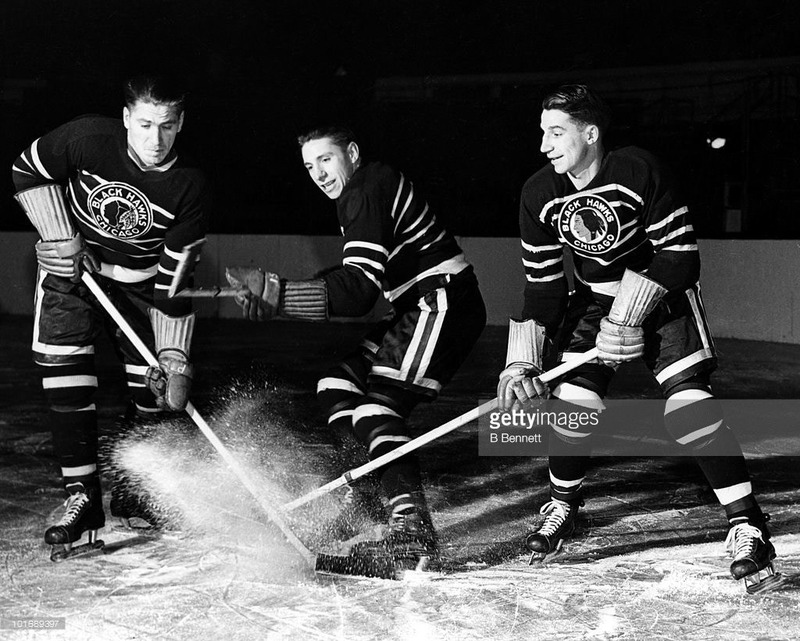 The next two photos show Reg Bentley in the 1942-43 training camp wearing this style crest while his brothers, Doug and Max are wearing the 1941-43 style jersey. 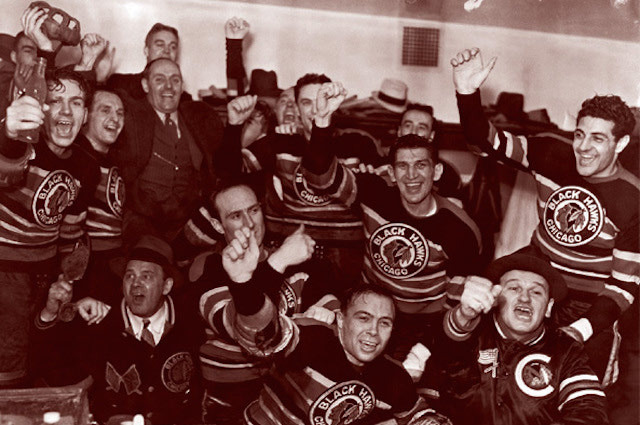 The last photo is taken from the 1937-38 Stanley Cup Championship celebration in the dressing room which shows the Black Hawks with a different crest from the 1937-38 Regular Season. 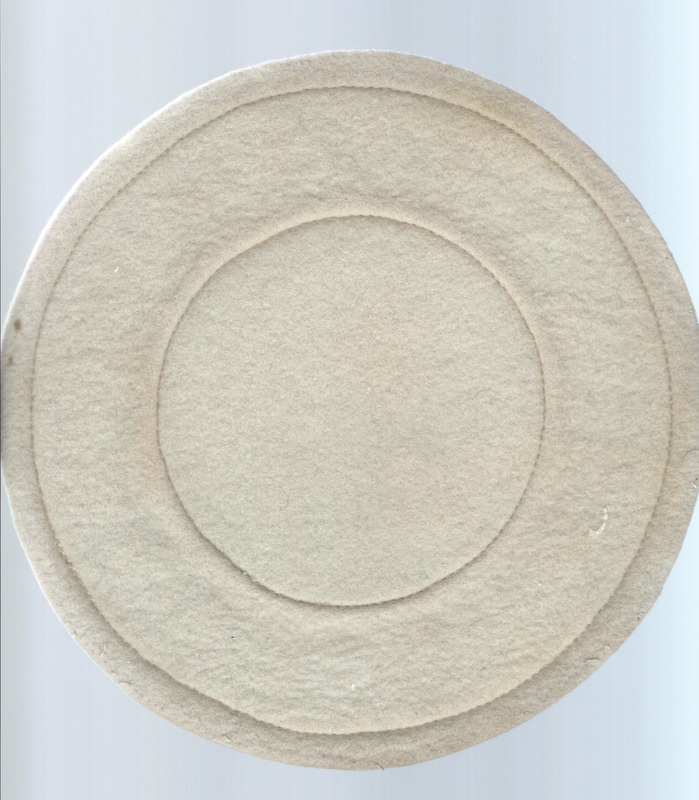 The Indian Head has an elongated neck that extends down to the base of the crest at an angle. I obtained several game worn jerseys from the family at the time and this crest came with the purchase. 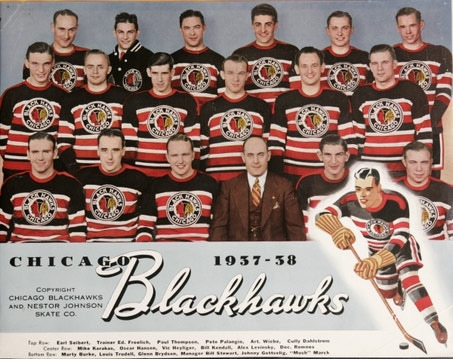 It most definitely came directly from a 1937-38 Chicago Black Hawks jersey and could be from the jersey Reg Bentley wore in training camp or even from a jersey that Max or Doug Bentley wore.